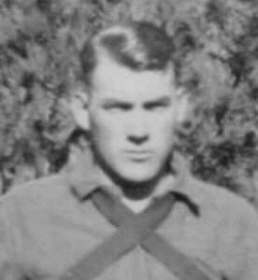 Our father, Paul H. Frame from Birch River, WV, was a member of Company 565 in 1933 and 1934. He entered the CCC on May 26, 1933, and was discharged on April 10, 1934. His identification number was 5K 12843. He began his service at Ft. Knox, KY doing general camp duties, but on June 5, 1933, was sent to California where he worked at Camp F-45 in Soda Springs. From October 20, 1933 to March 27, 1934, he worked at Camp F-157 in Highland, CA. He worked in the Protection and Development of the Forests and Watersheds of California. My sisters and I would love to hear from anyone who might know what his life was like in the CCC. The ideal would be to talk to someone who knew him.